Sorry for the lack of posts recently—we’re still catching our breath after Miami. We’ll be back up and running in the new year. 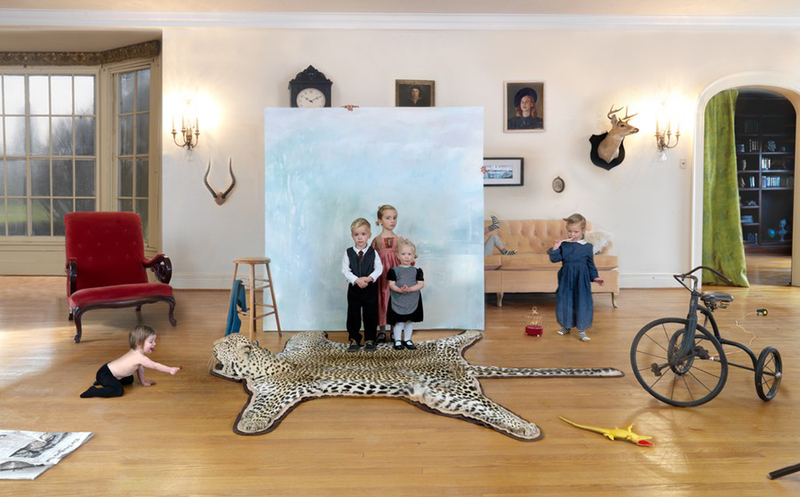 For now, enjoy the most recent photograph by Julie Blackmon—influenced by Thomas Le Clear’s Interior with Portraits.